Judo is known as the "Gentle Way". It is a grappling art that teaches throws, takedowns, pinning and submission skills. International Judo is one of the most practiced martial arts. In addition to being a full body workout, it is an Olympic Sport, and a great art for Self-defense. Judo is our grappling base at Shidokan Atlanta Dojo. Our instructors train and compete in other styles of grappling (Submission Wrestling, Brazilian Jiu Jitsu, and Mixed Martial Arts) in order to develop a well rounded system of grappling. Our head Judo instructor is Joshua White. Josh is #1 Ranked Open player and is ranked in the 81 kg and 90 kg divisions by USA Judo. He has successfully competed on the national and international levels. Josh is a 4th Dan in Judo. To further challenge himself and expand his knowledge, Josh also competes in full contact Karate, Kickboxing, BJJ and MMA. Josh is a certified Judo coach and coaches athletes on the local and national level. He is also a certified referee. Assisting with the Judo Program is Sensei Richard Trammell. Richard 3rd Dan and a USA Judo Certified Coach. 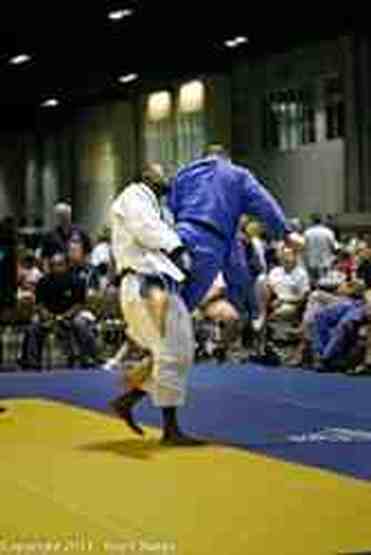 He is a 3X National Masters Champion and IJF World Veterans competitor.